RANGPUR, Feb 10: The production of meat has exceeded its target in Rangpur division during the last five years. 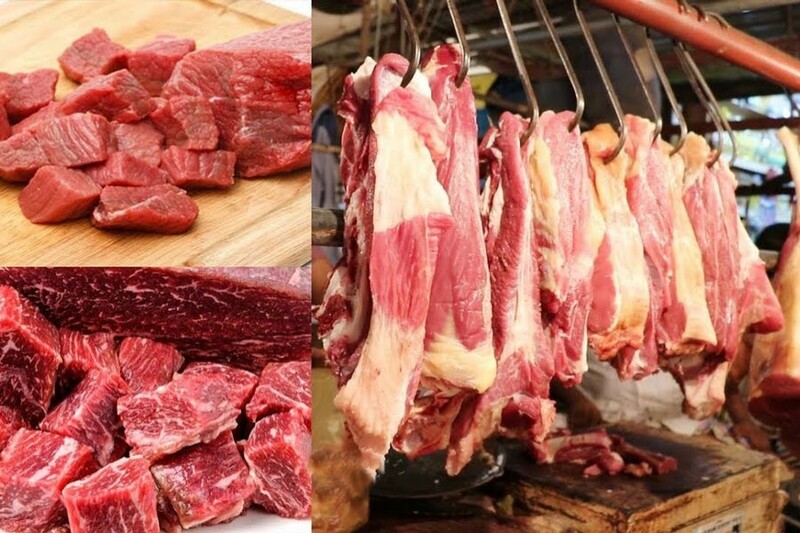 According to Divisional Livestock office, Rangpur sources, around 3.4 million tonnes of meat were produced in eight districts under Rangpur division in last five years against the target of 2.3 million tones. As a result, the production is 1.1 million tonnes higher than that of the target, sources said. The districts are: Rangpur, Kurigram, Lalmonirhat, Nilphamari, Gaibandha, Dinajpur, Thakurgaon and Panchagarh. Sources informed that the government has taken adequate steps to encourage farming of different animals in the villages and char areas of the region in recent years. A good number of domestic animal farms have also been set up across the region during the last few years, sources also said. The total number of livestock in the division is 20 million. The animals include cow, buffalo, goat and sheep. Due to good profit and huge demand hundreds of people of rural areas are getting interested in cattle farming in recent times and thus are changing their financial condition, sources said. Livestock office sources said with the aim to expand farm animals farming across the region, some 167 artificial insemination sub-centres and points have been set up in eight districts under the region which are playing significant role in producing developed species of cattle across the region, sources further said. It is learnt that during last three years production of meat increased significantly in the division. Around 2.6 million tonnes of meat were produced during that time in all 08 districts under the division. Of the total, 4,79,000 tonnes of meat were produced in Rangpur, 2,81,000 tonnes in Gaibandha, 2,82,000 tonnes in Kurigram, 3,00000 tonnes in Lalmonirhat, 2,60,000 in Nilphamari, 5,06,000 tonnes in Dinajpur, 2,37000 tonnes in Thakurgaon and 2,40,000 tonnes in Panchagarh district. Deputy Director of Divisional Livestock Department, Rangpur Dr. Sheikh Azizur Rahman said farming of livestock has become lucrative in recent years. Due to growing demand and congenial atmosphere, a good number people under the region are getting interested in rearing cattle including, goat and sheep. Production of animal fodder like straw as well as grass has also increased in the region. The department is also providing adequate supports including necessary advices as well as technical assistances to the cattle farmers in order to boost up production of meat in the region, he added.